Photo: The President of India, Ram Nath Kovind, presenting the Sangeet Natak Akademi Awards for the year 2017 at the investiture ceremony at Rashtrapati Bhavan in New Delhi on February 06, 2019. 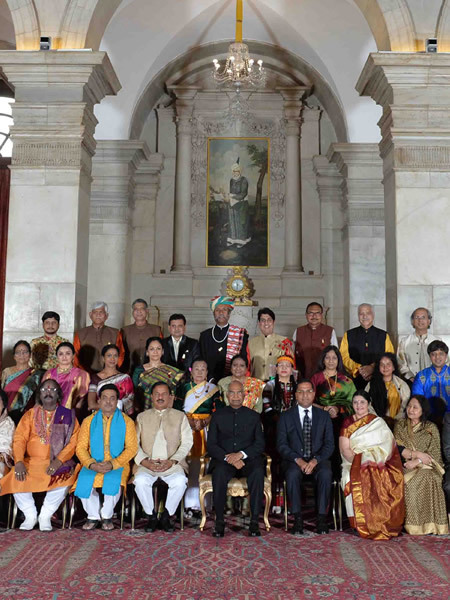 Photo: The President of India, Ram Nath Kovind, with the recipients of the Sangeet Natak Akademi Awards for the year 2017 at the investiture ceremony at Rashtrapati Bhavan in New Delhi on February 06, 2019. 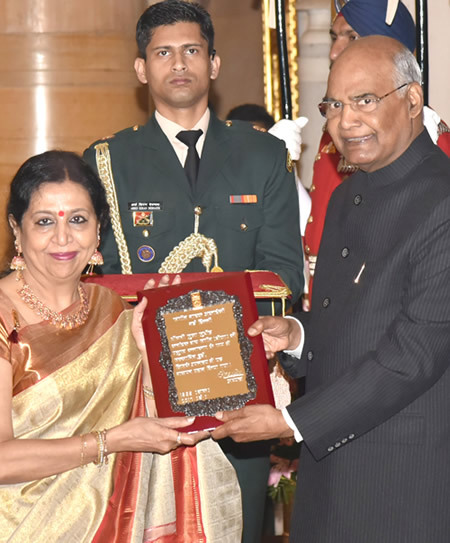 The President of India, Ram Nath Kovind, presented the Sangeet Natak Akademi Awards for the year 2017 at a function held at Rashtrapati Bhavan today (February 06, 2019). Union Minister of State for Culture, Dr. Mahesh Sharma, senior officers of the Ministry, and many dignitaries from the field of Art & Culture attended the event.